Ballou Skies hasn't added a story. Our mission is to provide funds for groundbreaking research that will assist young men afflicted with Duchenne Muscular Dystrophy. The funds we provide are helping doctors identify early muscle damage, especially in the heart, and develop better treatments to help keep boys stronger and healthier longer. MD weakens all muscles. Without a cure, the most important muscle, the heart, will fail. For young men with DMD, the risk of heart complications increases with each passing year. If we can somehow slow down, or even stop these heart complications, we can buy time for better treatments and maybe even a cure. 100% of the money raised by BallouSkies goes to trial at the Ohio State University Heart Clinic where this life-saving research is taking place. The Ballou Skies Chicago Triathlon Team is in its fourth year. Started by Ryan's cousin, a Chicago resident, it continues the mission of Ballou Skies, raising money and spreading awareness throughout the Midwest. The team competes in triathlons throughout the year, proudly wearing Ballou Skies blue. Each team member raises money for the 501c3 charity. As Ryan told the team, "when you finish the race, remember, you aren’t just pushing yourself physically, you are pushing life-saving research forward." 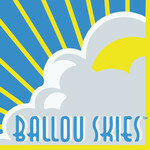 To join us contact ballouskieschi@gmail.com or visit the Ballou Skies website. Ballou Skies hasn't posted any updates yet. Ballou Skies is managing the funds for this campaign.